On April 2nd, our friends at Garn Press released a collection of inspiring essays and reflections written by NPE President and co-founder, Diane Ravitch. The Wisdom and Wit of Diane Ravitch brings together some of Diane’s best work from a variety of sources–The New York Times Review of Books, Education Week, The Huffington Post, and of course her personal blog. As NPE Board member and historian Yohuru Williams wrote in the collection’s foreward, readers will “find a source for imitation and inspiration as well as a blueprint for engagement.” Diane has asked that any royalties from the book be donated to NPE Action, thus ensuring that proceeds support the organization she founded. 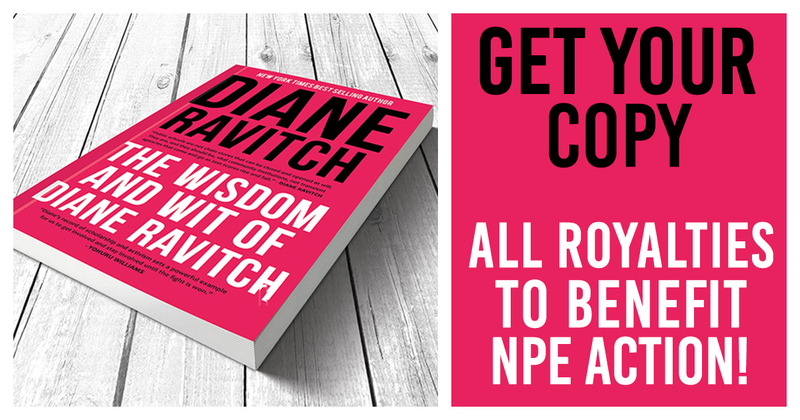 The Wisdom and Wit of Diane Ravitch is presently available at Amazon, Barnes & Noble and IndieBound. More retail partners are expected soon. Please buy your copy today. 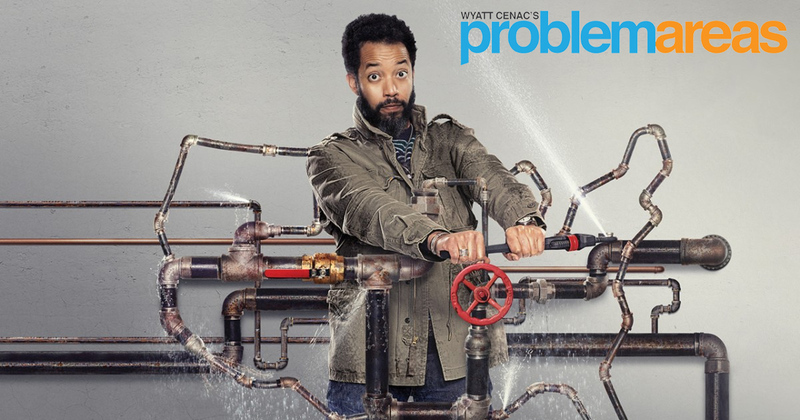 To answer this question, host Wyatt Cenac will spend his entire second season speaking with students, teachers, educators and some of the most prominent names in education policy. The first episode featured Diane Ravitch who comments on the teacher strikes around the country. In that episode, Cenac visited West Virginia to explore issues surrounding the 2018 and 2019 teacher strikes. The teachers he spoke with made it clear that the strikes were not solely about teacher pay and the underfunding of public education. Cenac highlighted that in February, 2019 West Virginia teachers went on strike to stop legislation that would have diverted state funds to charter schools and Education Savings Accounts. The discussion about public education begins around minute 8. You can watch the first episode on our website. Our friends at Journey for Justice, which is led by community organizer and NPE Action Board member Jitu Brown, need our financial help to continue their important work. Please consider donating today. Every dollar that you give here, will be matched by the Schott Foundation for Public Education. The Network for Public Education has extensively documented the problems with California charter schools both here and in our latest report. We are pleased that there are four groundbreaking charter school bills that would end the loopholes for investor-driven charter expansion, enact a moratorium during a period of enrollment drop, and put all schools funded by public money under the same accountability rules. 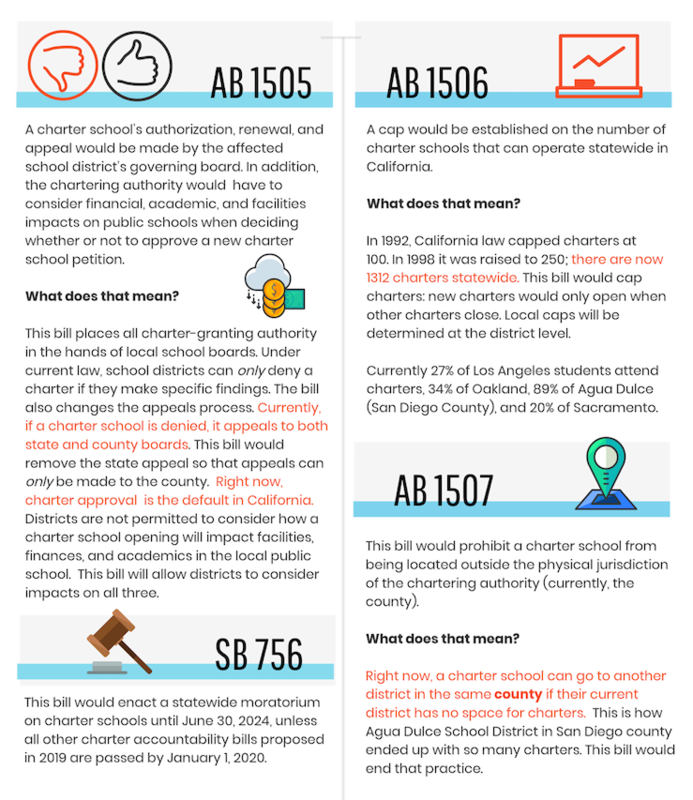 If you are a California resident, please sign and share the petition linked below to insist that California lawmakers vote to support these bills: http://reformcharterschools.org. 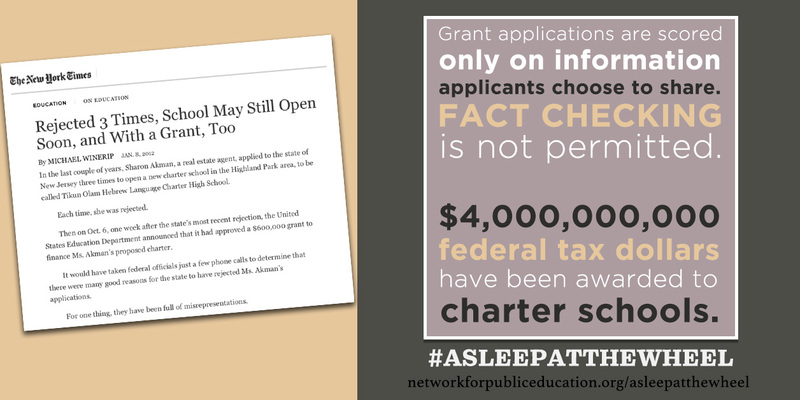 If you have not read the Network for Public Education’s blockbuster report, Asleep at the Wheel, which describes how hundreds of millions of federal taxpayer dollars have been wasted on charter schools, you can find the full report here. The Washington Post did an exclusive story on the report when it first came out. Since that time, the report has been mentioned by scores of news services around the country including EdWeek, Capital and Main, Forbes and The Progressive. We will continue our investigation of the Charter Schools Program in the weeks and months ahead.